Since my birthday is a week from tomorrow, we figure that it is a good time to start celebrating early. December will be a month of celebrating and travel so there will not be a whole lot of cooking. But I will be happy to send along some great restaurant dishes and the occasional home cooked meal. Our day started with a stop at Jacuzzi Winery, home of The Olive Press, where we always stop to sample the olive oils and get our bottles refilled. Today we get a new pressing of Arbequina olive oil. We use these better oils as finishing oils while we use a more generic EVOO for everyday cooking. 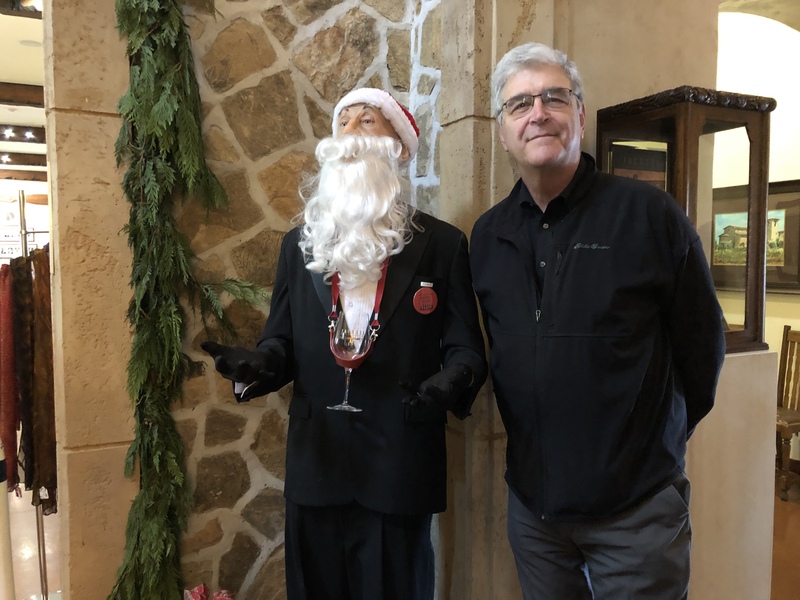 Here’s a picture of John next to Santa at the Jacuzzi Winery and The Olive Press. Next we stop at Imagery Winery to pick up our Wine Club allotment. For agreeing to a certain number of bottles per year you get a 20% discount. Also you get a free tasting of their recent offerings. So John and I try a few sips. It is fun as long as you do not enroll in too many wine clubs or have too many sips! 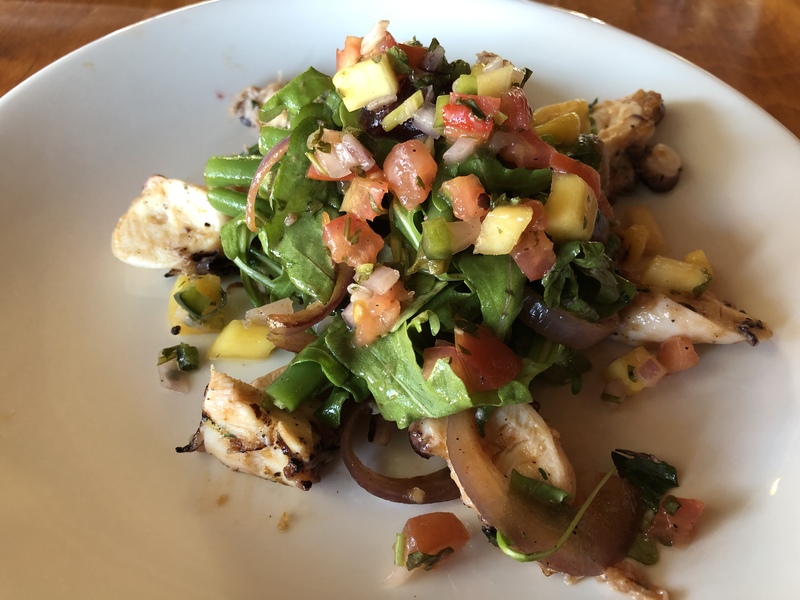 For a late lunch we try the recently opened Salt and Stone restaurant in Kenwood, CA. I think we make very reasonable choices. After lunch we head for home trying not to get caught in rush hour traffic. 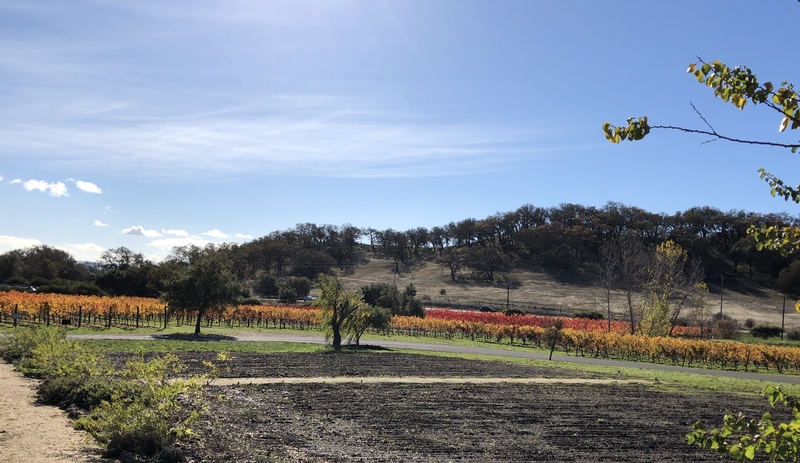 Sonoma County wine country is beautiful even in late November and a nice break from the urban/suburban bustle. 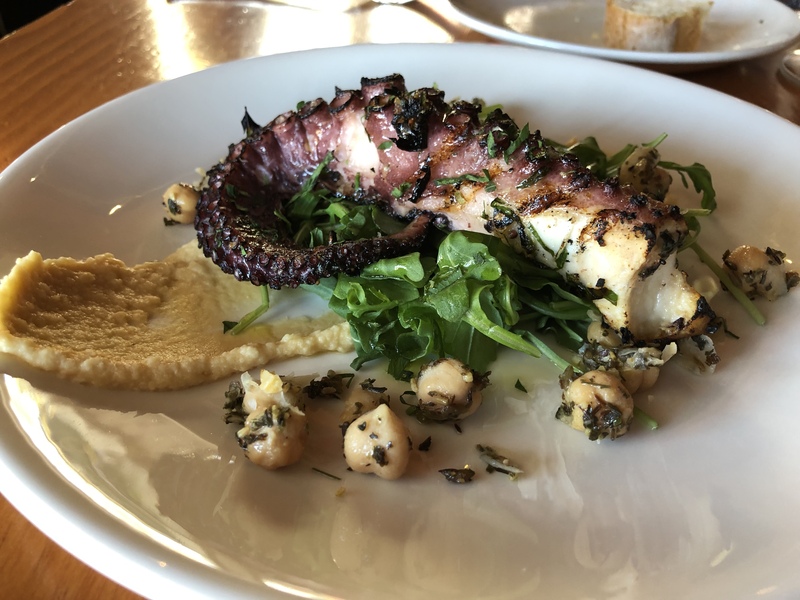 This entry was posted in Dining out, Shellfish, Vegetables and tagged Dining out, Octopus, wine. Bookmark the permalink.